As an American-trained optometrist returning home or starting a new life in Canada, it may feel a bit unfamiliar at first. 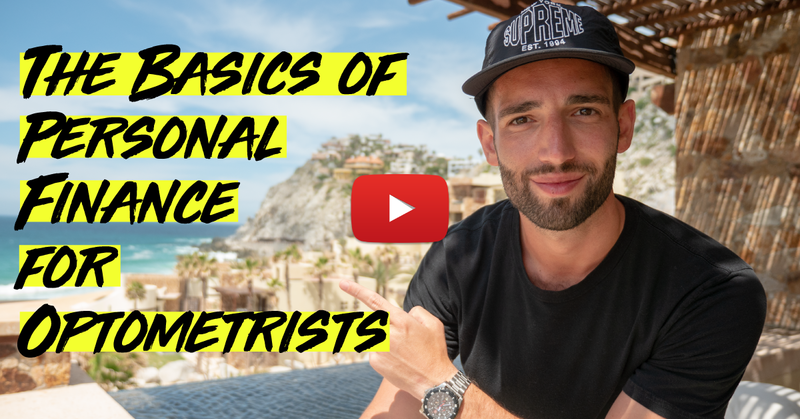 Fret not, because Ontario optometry opportunities and the day-to-day patients are all going to be similar to what you have previously been exposed to in clinical training during optometry school. Depending on where you attended school and externship, the scope of practice may vary somewhat but the role of optometrist should be the same – to provide the highest level of care to the standard that is set by the College. In a paper released in 2014, Ontario appears to be among the provinces that have seen the highest growth of optometrists. Using data taken from the 2011 supply and working hours of Ontario’s optometrists, the projections suggest that the number of Ontario optometrists should grow by approximately 30–40 full-time equivalents per year. Ontario may be saturated with optometrists but there are still job opportunities available. Here is how to get started practicing in Ontario and the types of career opportunities for new graduates in this province. As a new graduate, you have the opportunity to explore all the different types of optometry practices and you may start your career off by working in several modes of practice. Just like in optometry school, where you were exposed to different clinical training and environments, you will be able to use your opportunities at work to learn and figure out the direction you wish to pursue in your career. In most American optometry schools, your clinical training required you to select a clinical setting with higher incidence of ocular diseases such as diabetes, macular degeneration and traumatic brain injuries commonly treated in places like Veterans Affairs hospitals. In Ontario and across other Canadian provinces, there is no optometry or ophthalmology department in a specific hospital or clinic that caters to only Veterans, still-serving members of the Canadian Armed Forces or the Royal Canadian Mounted Police (RCMP). Instead, most hospitals will have an ophthalmology department that will provide full services for comprehensive evaluations, glaucoma management, retinal consultations and urgent care for any individual. All individuals that hold a valid Ontario Health Insurance Plan (OHIP) card may be eligible for covered eye-care services. OHIP is the government-run health plan for Ontario residents and covers the fees for a wide range of basic to emergency eye care services. Therefore, any individuals, including veterans and still-serving members of the armed forces that need to be seen in the hospital setting are usually insured and are not expected to pay out of pocket for most services. That being said, hospitals are usually not where optometrists are employed. Although there are no specific Veterans Affairs Hospitals, prevalence of ocular diseases can still be seen anywhere you practice. The number of patients that need management for ocular conditions by the optometrist may be seen in a shared optometry-ophthalmology practice. In this typical setting, it is similar to practicing in a private institute, where the optometrist and ophthalmologist share patients and co-manage their conditions together. It is typical for the optometrist to perform all the pre-operative tests and follow-up care post-operation. Here, the type of follow-up care you typically will manage can depend on the ophthalmologists’ speciality. Some institutes that involve partnerships between optometrists and ophthalmologists will provide comprehensive care, cataract removal, LASIK surgery and other specialities. Patient bookings tend to fill up with mostly OHIP-covered services. Working in this environment may also make specialty testing in a hospital quicker to arrange for the patients since most ophthalmologists have privileges and access to hospital facilities and care services. Ontario optometrists can practice the full scope of optometry. This includes diagnosing and providing treatment for ocular diseases. In Ontario, optometrists are able to prescribe many oral and topical drugs to treat disorders of the eyes. Ontario does have specific regulations regarding designated drugs. To manage and treat ocular diseases not requiring surgical or laser treatment, most private clinics would be equipped with all necessary testing devices, such as visual fields, retinal scans, digital imaging and other technologies that are needed for ongoing patient care. In this setting, patients are commonly referred to ophthalmologists for co-management of certain ocular conditions. It is also common for optometrists to co-manage ocular diseases and conditions along with the patients’ family physicians or endocrinologists, and for optometrists to refer patients back to their family physicians when certain blood work or further testing is recommended. Optometrists are not able to write requisitions for testing in labs or hospitals – this is done by family physicians. Optometrists in private practice may also choose to have their own dispensary to sell glasses and contact lenses. Quite often you will find optometrists and opticians working closely together. You may work as an independent contractor and share a space with an optician. The other common work opportunity would be a side-by-side arrangement. Typically in these types of partnerships, both optometrist and optician benefit from referrals between one another. It is a common scenario where patients may be shopping for glasses but would first need an updated glasses or contact lens prescription before making the purchase. Having the optometrist conveniently located next door or within the optical store would be an advantage. Some of these partnerships are found in plazas, malls and superstores. Traditional soft contact lens wearers are seen in all types of practice. Some practices may fit more or fewer depending patient age demographic. In clinics with predominantly senior patients, it is expected that you’ll likely much less contact lens fitting and assessment. In a practice location that has a high traffic of adolescents and middle-aged groups, it is expected that you will encounter a lot of existing or new wearers. It is important to stay up to date with the newer lenses on the market and be familiar with fitting guides. If you have a preference to see a high volume of specialty fits, it is worthwhile to seek work opportunities in clinics focused on that. Though, not as common, speciality contact lens clinics that have a focus on fitting orthokeratology and keratoconus patients are around. If you have a particular interest in fitting more complicated cases like these, you can certainly make yourself stand out amongst other practitioners by offering these services in your own practice or providing these additional services to an existing clinic or institution that may not have offered it previously. All Ontarians under the age of 19 will be eligible for yearly exams covered by OHIP. You’ll be able to see many children and adolescents in private practices located in most suburban communities. For example, some private practices focus primarily on pediatrics and offer orthokeratology and vision training services. However, even if the location that you want to practice in may see a higher volume of adults, be prepared that in any clinical setting or neighbourhood, you will likely encounter children and adolescents that need eye care services. To start your job search, it may be helpful to use Ontario Association of Optometrists (OAO) as a starting point. The classified ads can be found on the OAO website. Reaching out and contacting local optometrists or dropping off your resume is also a very good approach to finding work opportunities. In any work environment, you should have the confidence to practice optometry the way you have been trained. The transition from being an optometry student from the States to practicing in Canada is not something to fear. Even though you may not fully utilize all of your trained skills (i.e. intramuscular injections, intravenous injections, etc) in some work settings, you can still provide the highest level of care to your patients. Unlike as a student, where the focus was only on the eye disease and the excitement that comes with seeing complex or text-book cases, it is important to remember that you aren’t just working with “cases” anymore – these are your patients. Back then, you may not have been able to follow the patient through to the end of treatment, but now, as a practicing optometrist, you will have the chance to provide ongoing care for them. The people sitting in your exam chair will most likely be patients you will get to see year after year. Working on listening to your patients and communicating effectively with them so that they truly understand their eye conditions can really make the difference between being a mediocre doctor and an amazing one. It is crucial that you offer compassion and empathy in this field when you care for patients and give priority to maintaining their visual health wherever you may have the opportunity to work.